Korean rock band Buzz returned early June with digital single, Buzz Return. The single package has title track, “My Heart Is Crying,” along with its instrumental version. 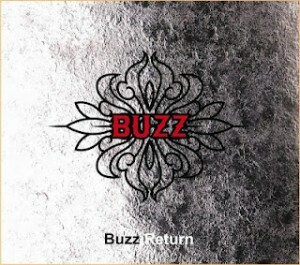 This is the band’s comeback after releasing Fuzz Buzz with track “Buzzing Rock” in 2010, for which the band returned as a duo group. Buzz debuted in 2003 and has been known primarily for their rock ballads such as “Coward” and “Thorn” as well as for their songs that have been used as Korean openings for popular anime Naruto: “Fighting Spirit” and “Gliding.” The group, originally consisting of five members, went on a hiatus in 2007 as members went on to complete their required military service or desired to go solo, such as main vocalist Min Kyung-hoon. For the previously mentioned Fuzz Buzz, original member Yoon Woo-hyun and new vocalist Na Yul paired up to release the album. And it’s this very same duo that has returned with Buzz Return. 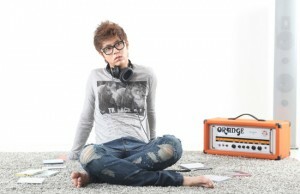 As a special note, Yoon Woo-hyun composed the music, wrote the lyrics, edited the track, played the guitar portions, and produced the track, indicating his wide array of talents as a musician and his involvement in his work. The track begins with strings playing beautiful music. When the vocals (Na Yul) begin, a piano also begins playing, introducing a steady beat, while the strings stop. The voice is soft, especially in comparison to the piano, but they balance well. As the vocals grow in intensity, the strings are re-introduced. Once the chorus arrives, there is piano no more as it is entirely replaced by strings and guitar. For the second verse, we’re sticking with strings, but drums are present for the beat. During the second chorus, the strings truly sing out along with the vocals, creating a pleasant harmony. For the climax, strings, guitar, and drums all together increase with intensity as the vocals soar above all of them, with the guitar even occasionally taking up the melody, up until the long note, which is only accompanied slightly by strings. The break after this note is short as the music quickly returns to higher intensity. The ending brings back the piano, which joins in harmony with the strings on the last notes. My first impression is that this track would make a fabulous theme or OST for a movie or drama. It’s filled with moments of quiet and intensity that would suit a dramatic plot, especially because of the addition of strings in the background music. Telling of pain after a break-up, the song seems to transition from expressing pain at the parting or rejection of a significant other while also reminiscing about those stages of happiness. Moments of the electric guitar pitching in its melody particularly give a melancholic and sorrowful tone to the song with the majesty of the strings. And above all, the vocals are fantastic. The vocal manipulation accomplished by Na Yul, from the slight changes in pitch required of the song to the changes in tone to match the background music to his abilities to emote bring the song to a high level. Little hesitations or breaths taken along with the distress evident in his voice can pull at heartstrings with no problem. He seems to have improved from Fuzz Buzz, especially in his expression of emotions. The combination of the well-composed music and the skilled vocals make this a song that succeeds with emotional expression. My only problem: I want more, but there is no more. Unfortunately, as a digital single, this is all the duo released this time around. As a rock ballad, I wouldn’t change a thing. And I have nothing to criticize. Buzz Return receives a solid 5/5 from me. Does Buzz impress you with their single, “My Heart is Crying?” Leave a comment letting us know your opinion!